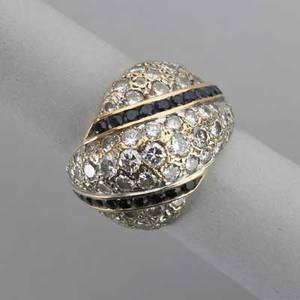 18k yellow gold diamond tapered bombe ring; prong set rbc diamonds, approx. 1.5 cts. tw, interspersed among textured ground, 20th c. marked with chinese character, 18k. 6.0 dwt. 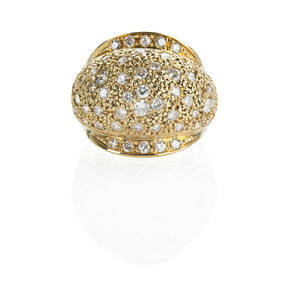 Archived auctions similar to 18k yellow gold diamond tapered bombe ring; prong set rbc diamonds, approx. 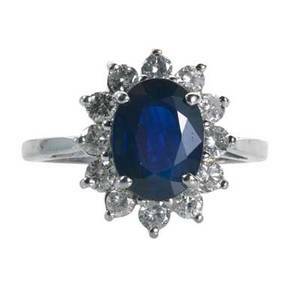 1.5 cts. tw, interspersed among textured ground, 20th c. marked with chinese character, 18k. 6.0 dwt. 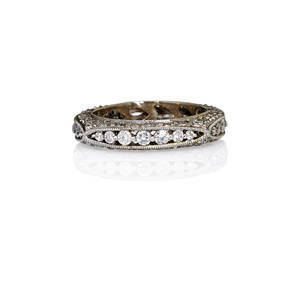 Diamond 18k white gold lace eternity band millegrained scalloped design, rbc diamonds, approx. 1.34 cts. tw, ca. 2010. marked "18k, 750". size 5 1/4. 2.8 dwt. 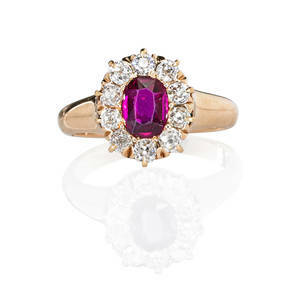 Antique ruby and diamond ring oval faceted ruby, approx. 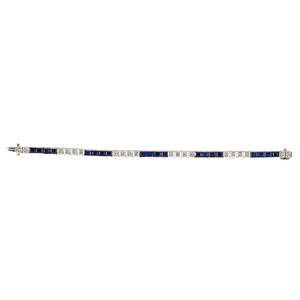 .54 ct. by formula, framed by prong set omc diamonds approx. 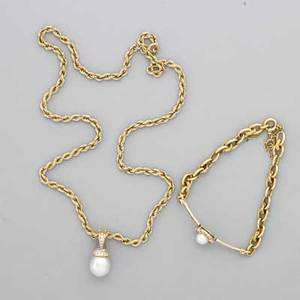 .60 ct. tw, 14k rose gold, ca. 1900. unmarked. size 5 3/4. 2.7 dwt. 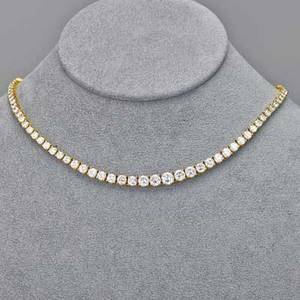 Diamond and 18k yellow gold riviere necklace; 115 circular brilliant cut diamonds, approx. 10.14 cts. tw, joined by fancy box clasp, ca. 1980. 15 3/8". 15.4 dwt. 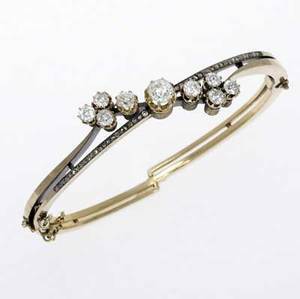 19th c. russian diamond bracelet 56 standard, of bypass design. 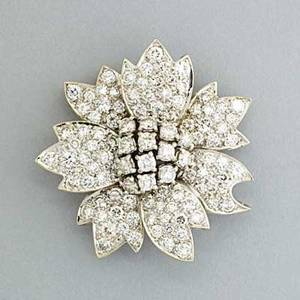 the central ornament with prong-set omc diamonds, approx. 2 cts. tw, and rows of rose cut diamonds. unrecognized cyrillic mark. 15.7 gs.